The exhibition came to the end. Thank you very much! 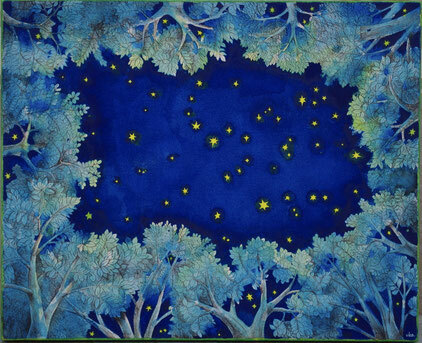 But you can see this painting "stars of Hara" at Sunny cafe in Kasugai botanical garden. And you can buy the postcard of this painting at the cafe.